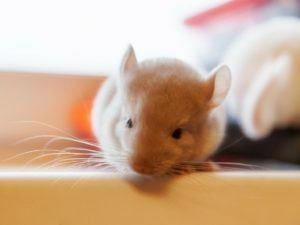 When people think of mice, often what comes to mind are the small, fluffy critters often kept as pets. Wild mice on the other hand, are a totally different story. When these creatures make their way into a home, they often create expensive damage and can put your family’s health at risk. Because of the dangers that mice pose, we always recommend that you trust the mice removal experts at Critter Control® of Fort Worth to handle any infestation. Because of their ability to reproduce quickly, the longer you leave a mouse problem unattended, the more extensive the damage may become. When you enlist the help of Critter Control® of Fort Worth, we use our exclusive four-step removal method to get the mice out, and keep them out. Inspection- With your free consultation, we’ll send over one of our expert technicians to size up the severity and location of the infestation. Removal- Once the severity of the infestation has been determined, our technicians will work with you and your situation to come up with the best method of action to remove the mice. Restoration- Once all the mice have been removed, we’ll clean up any messes they’ve made, including re-installing your attic insulation if necessary. Exclusion- After you home is back to normal, we’ll do one final sweep to make sure all entry and exit holes the mice may have made are sealed up to prevent future infestations from occurring. If mice have invaded your home, don’t wait another day to get help. Call Critter Control® of Fort Worth today at 469-805-6267.